See-ming Lee says: "In order to master the art and science of any field, have a solid foundation of the basic principles, learn the history of its development and always have a critical mind of everything that you create. With these tools in hand, you can solve any challenges that come in your way." 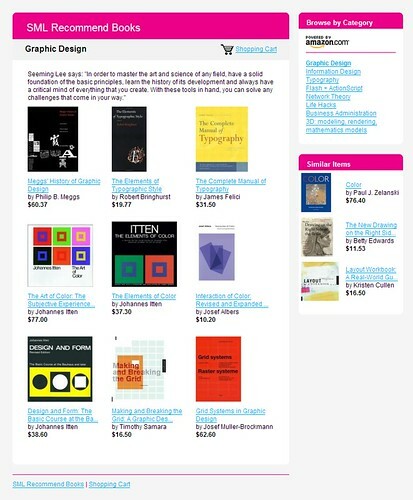 See-ming Lee says: "Before there was a field called information architecture, IA is the first step in the graphic design process. Content gathering and organization is arguably the most powerful steps in gaining a thorough understanding of what we wish to create and conceptualize. 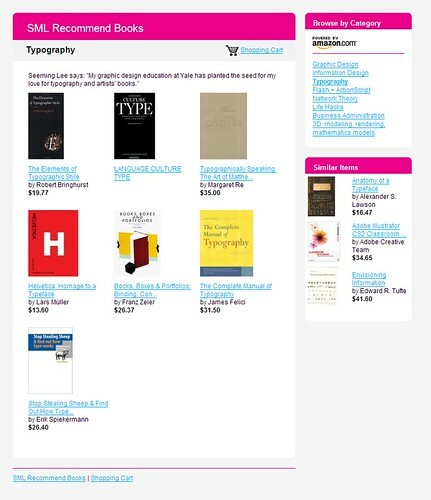 Information needs to be designed in the form that most eloquently describe its function. This collection of books represents best-of-breed examples. From maps to airplane safety instructions, they knock down linguistic and cultural barriers and enable viewers the most immediate path to their content and structure." See-ming Lee says: "My graphic design education at Yale has planted the seed for my love for typography and artists' books." 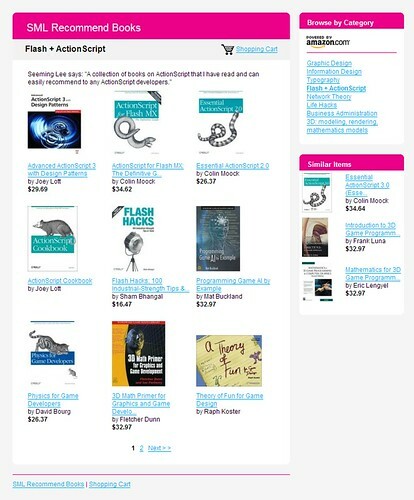 See-ming Lee says: "A collection of books on ActionScript that I have read and can easily recommend to any ActionScript developers." See-ming Lee says: "After reading Turtles, Termites and Traffic Jams, my exploration of decentralized networks went down a very viral path. Here are a collection of books that I have picked up over the course of a few years. 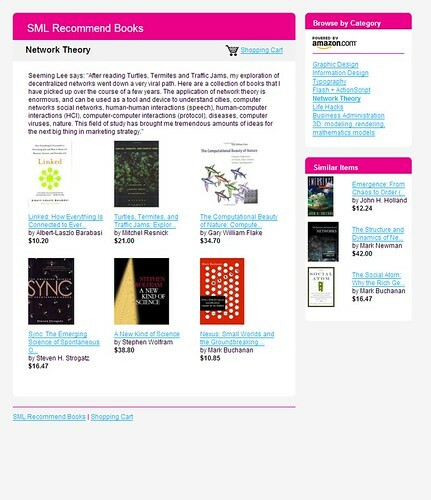 The application of network theory is enormous, and can be used as a tool and device to understand cities, computer networks social networks, human-human interactions (speech), human-computer interactions (HCI), computer-computer interactions (protocol), diseases, computer viruses, nature. 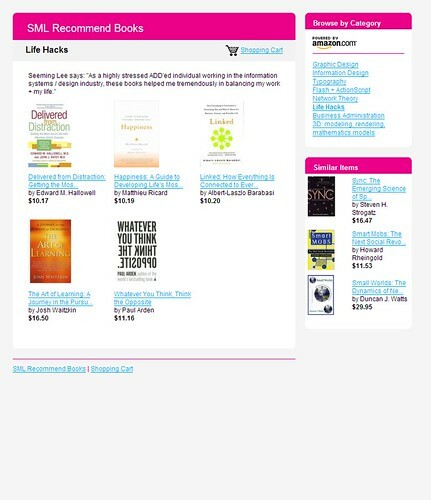 This field of study has brought me tremendous amounts of ideas for the next big thing in marketing strategy." 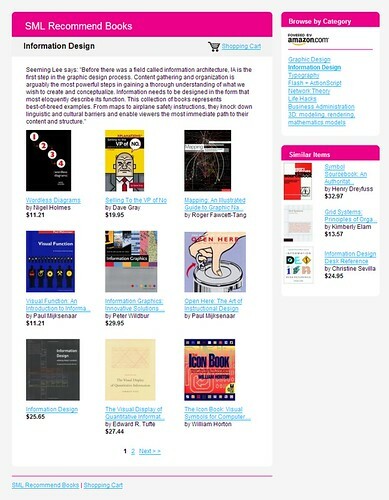 See-ming Lee says: "As a highly stressed ADD'ed individual working in the information systems / design industry, these books helped me tremendously in balancing my work + my life."